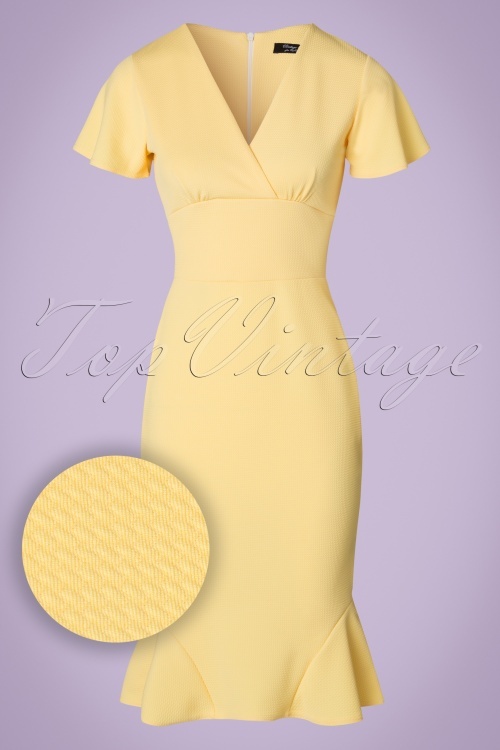 Your presence won't stay unnoticed when wearing this limited edition 50s Peggy Waterfall Pencil Dress! This beauty hugs your curves in all the right ways and gives you a stunning hourglass figure, vavavoom! 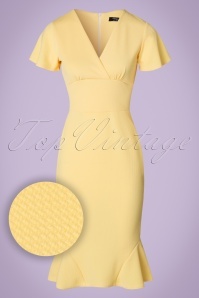 Peggy features a flattering wrap over top, flutty butterfly sleeves and a flared trumpet detail at the bottom. 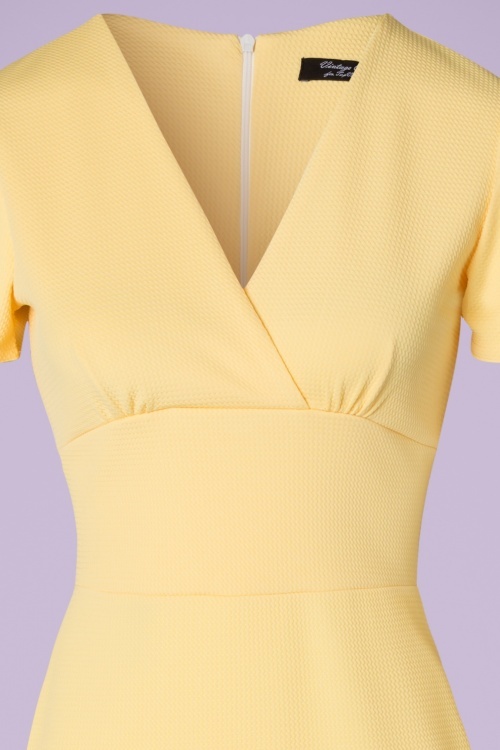 Made from a stretchy pastel yellow structure fabric which enhances your curves perfectly without marking any problem areas. Peggy will make you shine day and night! Wat een plaatje. Het jurkje heeft een mooie pasvorm, erg geschikt voor brede heupen; slankt goed af! Daarnaast heeft het een prachtige frisse kleur. Kortom; een aanrader. Een prachtige jurk! Zeker een aanrader.